Debbie J. Palmer designs and manufactures both salable and promotional cosmetic accessories. 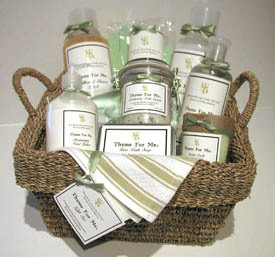 Some of our most popular items are Gift with Purchase Sets (GWP's), Purchase with Purchase Sets (PWP's) and boxed gift sets. 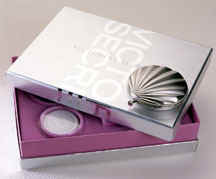 We have participated in many promotional programs and have produced custom solid fragrance compacts, atomizers and purse size mirrors. Our design capabilities along with our manufacturing expertise enables us to produce quality products at extremely competitive prices. We work with a wide variety of materials from metal, plastic and resin to fabric goods. Our capabilities include complete "one-stop" shopping for all of your creative design and manufacturing needs. For more information, please contact our sales department at 212-532-3880.